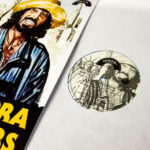 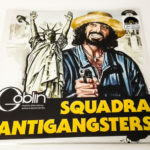 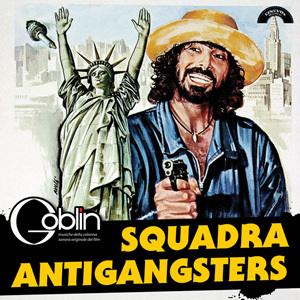 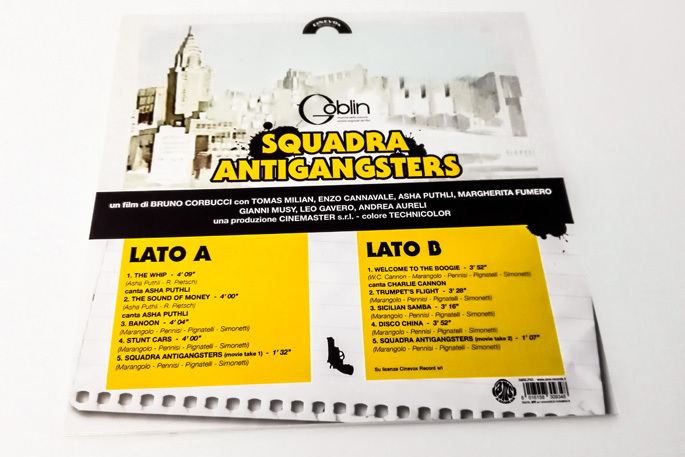 “Squadra Antigangsters” (The Gang that Sold America) is one of over ten films produced between the ’70s and ’80s in which the actor Tomas Milian plays the role of Police Marshal / Inspector Nico Giraldi, probably the most famous character out of the typical Italian detective films of that period, which were in practice Giallo movies with a strong comedy component. 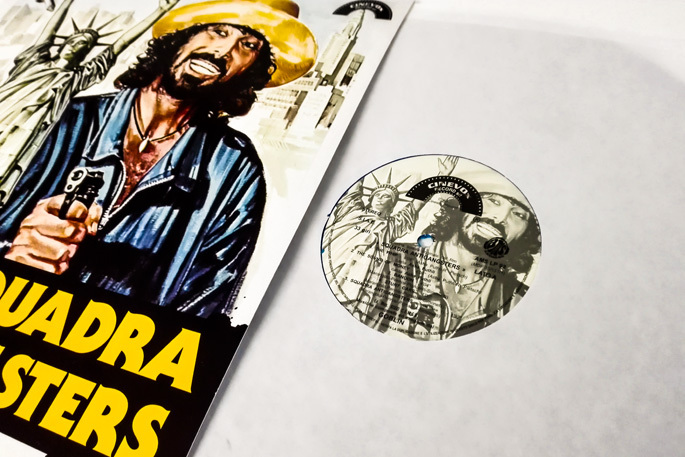 The film is set in the United States, and the soundtrack sounds very American, starting from the first two songs, interpreted by the warm voice of Asha Puthli, an Indian singer who is also an actress in this movie; “The Whip” and “The Sound of Money” seem to belong to one of the many Stax productions of those years, only that they’re played by… Goblin! 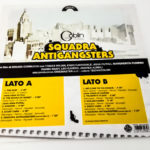 The Roman band, whose line-up consisted of Claudio Simonetti (keyboards), Agostino Marangolo (drums), Fabio Pignatelli (bass) and Carlo Pennisi (guitar) was in those years nothing less than hyper-productive, but this did not prevent them from producing high-quality works. 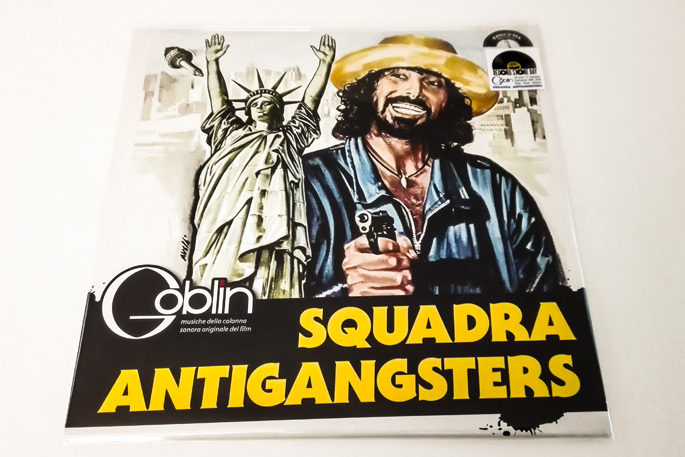 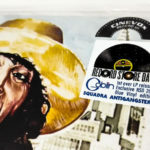 In fact, the album songs go through various genres – disco music, country, funky, soul, samba … – with little concessions to some typical ‘Goblinian’ moments. 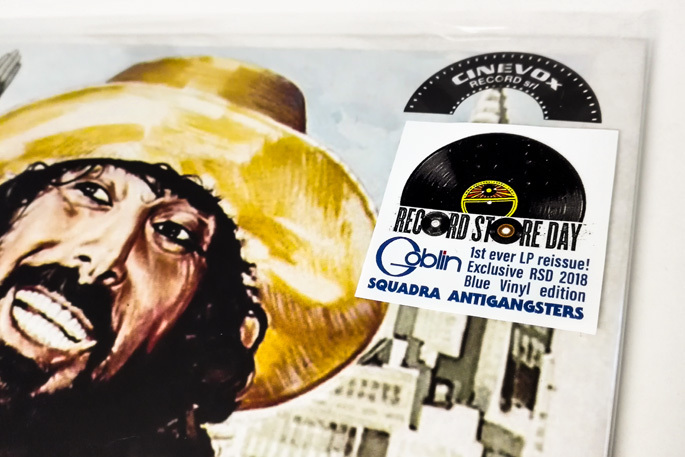 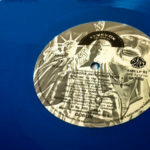 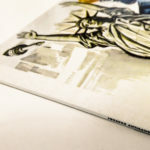 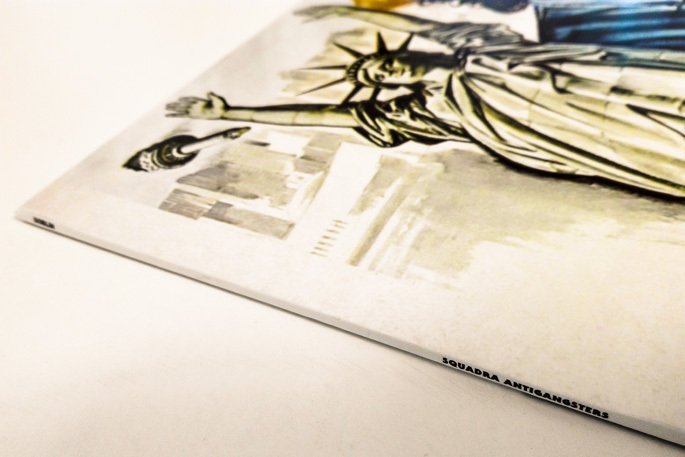 This reissue is a Record Store Day 2018 exclusive by AMS Records; it’s the first ever re-edition in LP format, with a new artwork, two bonus tracks and on 180gr. 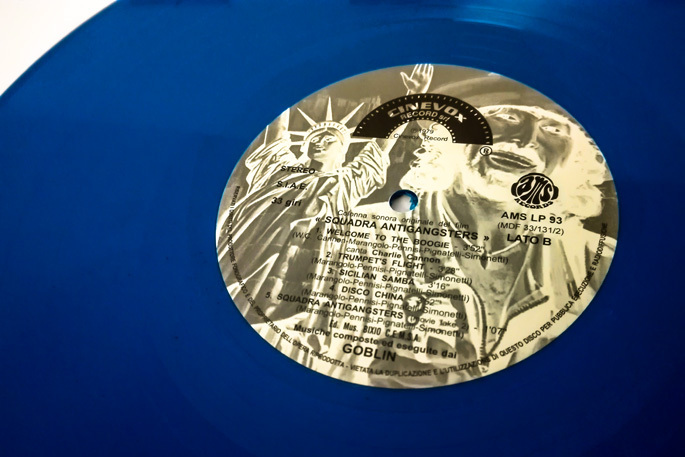 coloured vinyl.